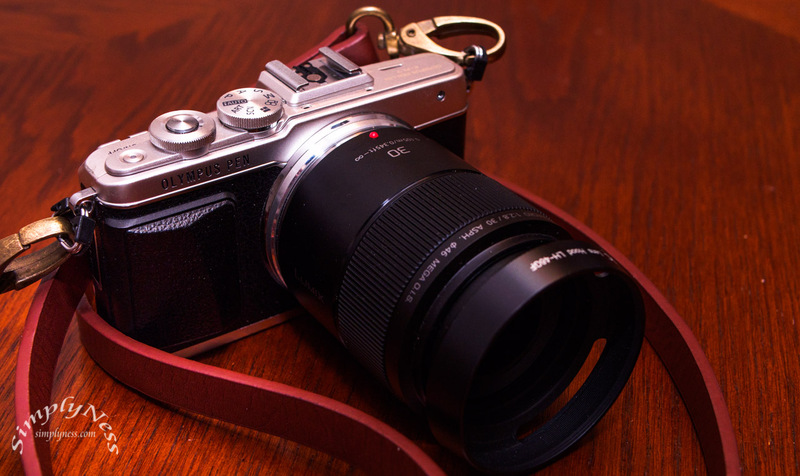 This weeks feature gear is my Olympus PEN E-PL7 and the Panasonic Lumix 30mm F/2.8 Macro lens. As I’ve mentioned from the start of my 2017 Daily Photo, every Friday, I will feature the gear that I used for the week. Here it is the Olympus E-PL7 and the Lumix 30mm F/2.8 macro lens with OIS. The Olympus E-PL7 16MP is part of the PEN Lite series of cameras from Olympus, it replaces the Olympus E-PL5 Mirrorless Digital Camera & Olympus PEN E-PL6 Digital Camera . Aside from the 16MP 4/3 sensor, it has 3 axis in body image stabilization, TruePic VII, built-in wifi, fast AF, utilizing 81 AF Points, HDR and the first from Olympus, the 180-degree downward opening LCD touch screen. The E-PL7 is my backup micro four thirds camera. It’s smaller than my E-M5 making it a little lighter and easier to carry around, it’s so small, other people around me doesn’t notice me at all especially when paired with the Lumix 20mm F/1.7 Pancake or the Lumix 14mm F/2.5 Wide Pancake Lens. Small form factor, easy to carry around. Great image quality provided you get the right lens. Slight better Image quality than the E-M5. Maybe a little heavier for it’s size, bit that can also mean it’s well made which is a good thing. I love my E-M5 Classic and my E-PL7, for what I do and use it for, they are more than enough. Like what I have mention in my E-M5 post, provided you have the right Micro Four Thirds lens, you can produce amazing images with them. The PANASONIC LUMIX G Macro Lens, 30mm, F2.8 ASPH is a great match for this camera. I find them well balance together even though the lens is bit longer. Before getting this macro lens for my mft, I was using the Canon FD 50mm F/3.5 manual lens, (a great lens by the way) with a FD to mft adapterI didn’t want to buy another macro lens, because I always ended up selling them eventually. But I found mine for a bargain price on Ebay, it’s refurbished by Panasonic so I said why not try it. For $169 it’s a lot of lens. I really like it, it’s a solid lens, although no weather sealing whatsoever, it’s made of metal and hard plastic, it has a metal mount and feels great, it’s also a bit heavy. Excellent build quality. AF performance is just right, it’s fast, especially when compared to other macro lenses that I have use for my Canon system in the past like the Tokina 100mm macro, Canon EF 100mm macro classic. It’s almost as fast as the Zuiko 45mm F/1.8. Sometimes, AF becomes a challenge in low light where I encounter occasional hunting. But overall, I can say that AF is fast enough and you won’t be disappointed. With regards to the built-in IS (image stabilization ) I have not tested it because both my Olympus bodies have built in stabization. The E-M5 has the unmatched 5-axis Image Stabilization and the E-PL7 has the 3-axis IS. Also there is no switch on the lens to turn off the built-in OIS . How about image quality? I use the lens with both my E-M5 and E-PL7, mostly with the E-PL7, based on my experience and in the images I’ve taken, they are sharp on both the center and the edges even wide open at F/2.8 up to F/5.6. Beyond that, I can’t say for sure but I would assumed that it is still sharp up to F/8 as with most m43 lenses due to defraction. I mostly shoot wide open when using my micro four thirds. The PANASONIC LUMIX G Macro Lens, 30mm, F2.8 ASPH Mega OIS is an excellent lens. With a 60mm equivalent full frame field of view, it will give you excellent 1:1 result. You wont have a problem shooting it wide open. With regards to build quality, the almost all metal construction gives you the assurance that this lens is well built. Overall, this is a great lens for any micro four thirds system. You won’t be disappointed. This entry was posted in Photography Gear Reviews and tagged in 2017 Daily, Friday Reviews, gear friday, gear review, micro43 lenses, Project 365.